Download Label Tag Mockup Free PSD. Label tags are considered a necessary part of branding projects to present your brand, insignia, badge or logo design in a photo-realistic way. With This Label Tag Mockup Free PSD you can come up with wide variety of styles and effects. Label Tag Mockup Free PSD allows you to replace your branding or logo designs on easily with the help of beautifully arranged layers and Smart Objects. You also have the ability to customize the colors of background of this Label Tag Mockup Free PSD. 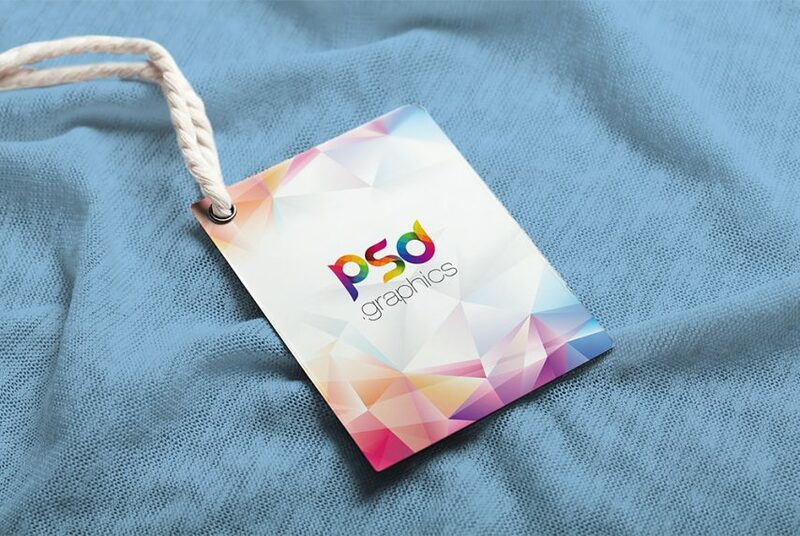 Use this Label Tag Mockup Free PSD to show off your latest design in style. If you want to impress your client this Label Tag Mockup Free PSD is the best option for to go with. This Freebie is going to be very useful for your PSD mockups collection as well. Label Tag Mockup Free PSD based on smart objects. You can easily place your design, change colors or replace background easily. Your design will be visible on the top as well as inside the stack. If you like you can download and use this Label Tag Mockup Free PSD freely. Anyway, hope you guys enjoy it and i hope this will help you benefit your project as well. Do not forget to Share if you found this helpful. All in all this Label Tag Mockup PSD has a modern and elegant look. This layered PSD resources comes with Easy & customizable PSD file arranged in groups and named perfectly which can save the time to create your own mockup. You can modify this Label Tag Mockup Free PSD. However you are free to use this Free PSD in your personal and commercial projects. If you are using this file please give some credits to psd.graphics Hope you like it. Enjoy!